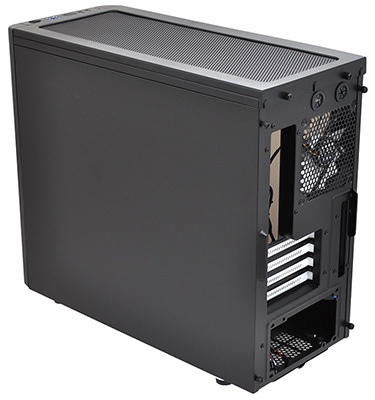 One of the biggest problems with enthusiast PCs, as we see it, is that they're just too darn big. Sure, we've enjoyed our fair share of full-tower monstrosities over the years, but today's high-end components offer so much more in terms of efficiency that smaller systems should be packing a bigger punch than ever before. For this reason alone, we believe the days of ATX PCs in the home are numbered, and Mini and Micro are destined to become the new standard-bearers for self-builds and enthusiast rigs. And let's face it, building something that's petite and powerful is more challenging and, well, more fun than a big hungry beastie. So, for all those who are thinking of downsizing, which chassis are worthy of consideration? We've already taken a look at Lian Li's PC-Q27 and Corsair's Obsidian Series 350D, and today we're continuing our quest by examining the credentials of Fractal Design's Arc Mini R2. 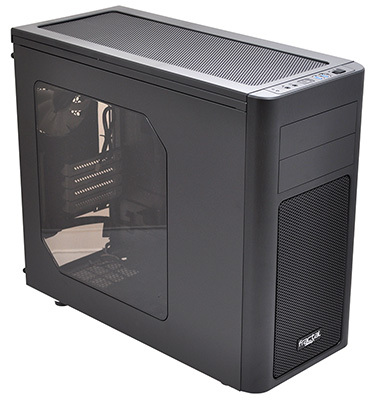 Currently priced at £70, the Arc Mini R2 is designed to house your choice of Mini-ITX or Micro-ATX build, and measures 405mm (H) x 210mm (W) x 484mm (L) in size. Herein lies a problem of sorts. Fractal describes the chassis as "a compact, minimalistic and elegant chassis design," yet despite the 'Mini' marketing, this enclosure isn't particularly small. 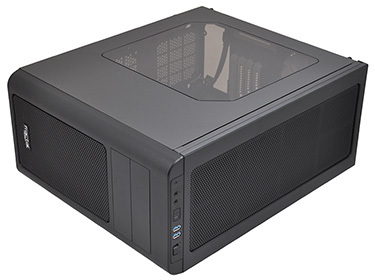 Putting the dimensions into perspective, the Arc Mini R2 is the same width as the last ATX tower we tested - Corsair's Graphite Series 230T - and it saves only 3cm in height and 6cm in depth. There's not a lot in it, and when the two are placed side-by-side, you'd hardly consider the Arc Mini R2 to be a space-saving solution. We were hoping for an ultra-compact derivative of the award-winning Arc Midi, but that hasn't really happened. 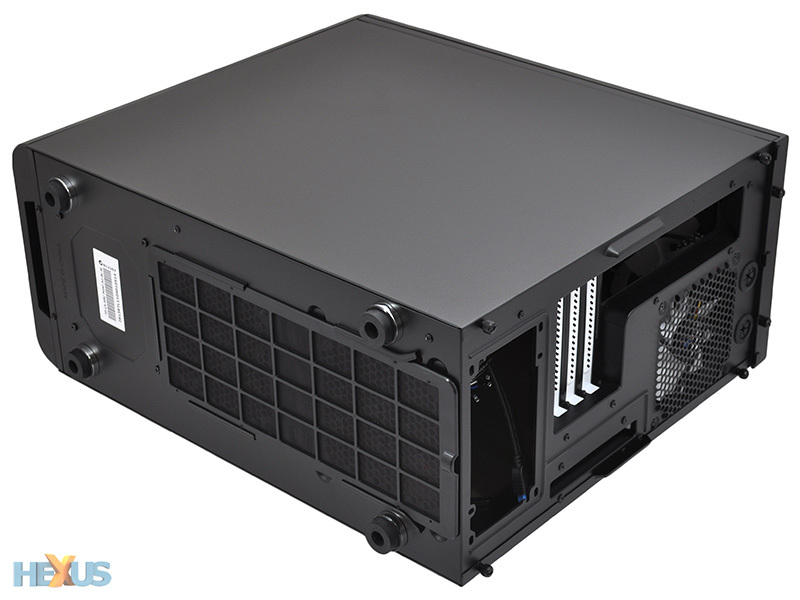 The idea here, it seems, isn't to be as small as possible, but rather to provide micro-ATX builders with bags of liquid-cooling potential. A line of thinking that's not too dissimilar to the rival Corsair Obsidian Series 350D. Going from Midi to Mini isn't a massive shift in terms of size, and it's no surprise to find that Fractal has kept the chassis' design ethos intact. Following in the footsteps of the larger Arc Midi sibling, the Arc Mini has a near-identical exterior appearance. That means a plastic front fascia with rounded edges, large mesh inserts on the front and top, a tinted side-panel window and an I/O panel housed along the top-front edge. 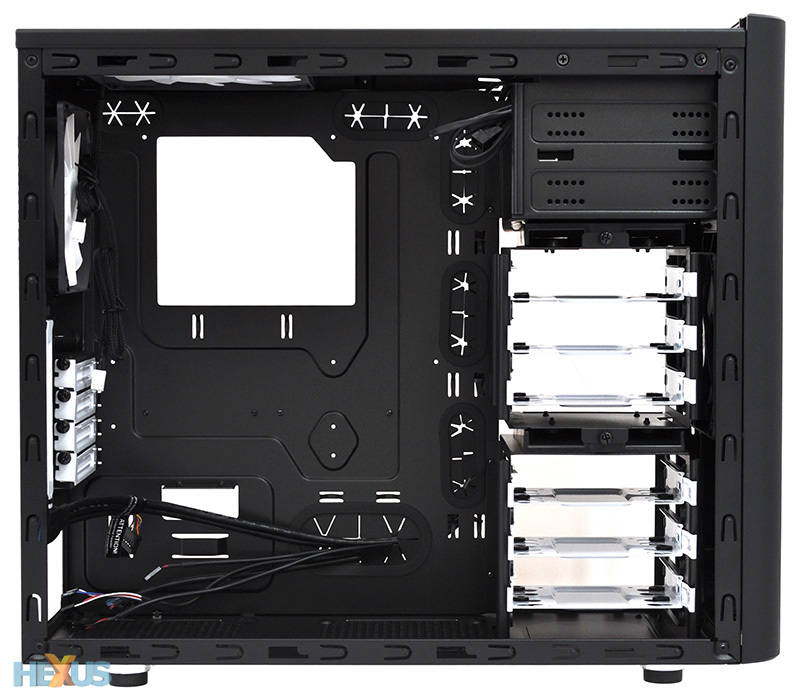 Come to think of it, we think this is exactly the same I/O unit, and that's no bad thing - it provides a pair of audio jacks, dual SuperSpeed USB 3.0 ports and a three-step (5V, 7V, 12V), single-channel fan controller that supports up to three fans. The filters, too, have been carried over from the Arc Midi, meaning the front cover makes use of a push-to-release mechanism, while the filter below the PSU and bottom fan mount pulls out from the back. The top, meanwhile, comes away after undoing a pair of thumb screws to provide easy access to the top fan mounts. 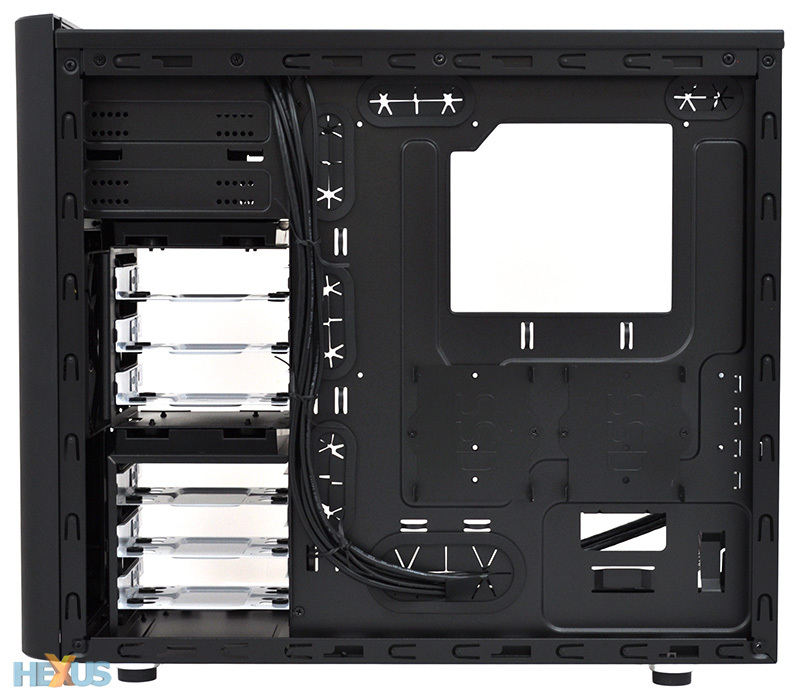 Fractal's feature set is strong, and build quality is good throughout, but the overall aesthetic isn't particularly eye catching - the rounded front and beige-coloured side window makes the chassis look antiquated and, well, a little bit dull. 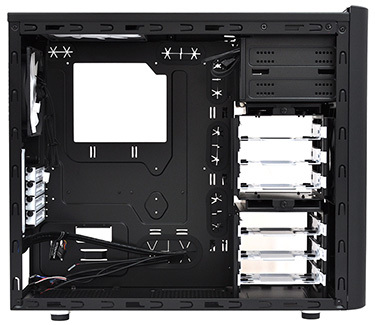 Then again, aesthetics are always a personal preference, and while we'd have preferred a more youthful design, there's no denying the attractiveness of Fractal Design's interior. The matte-black cavern is spruced-up with trademark white highlights, and the layout is logical throughout.